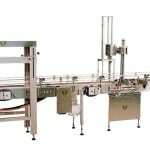 Volumetric Technologies designs and manufactures the highest quality Filling Line Equipment in the industry. Each Filling Line is custom designed to meet your needs. Precision made and built to last, our equipment combines innovative features customized for a perfect fit every time. Why choose Volumetric Technologies for your Filling Line Equipment needs? Our experience, ingenuity and agility make us leaders in they design and manufacturing of Filling Line and Packaging Equipment for applications around the world. 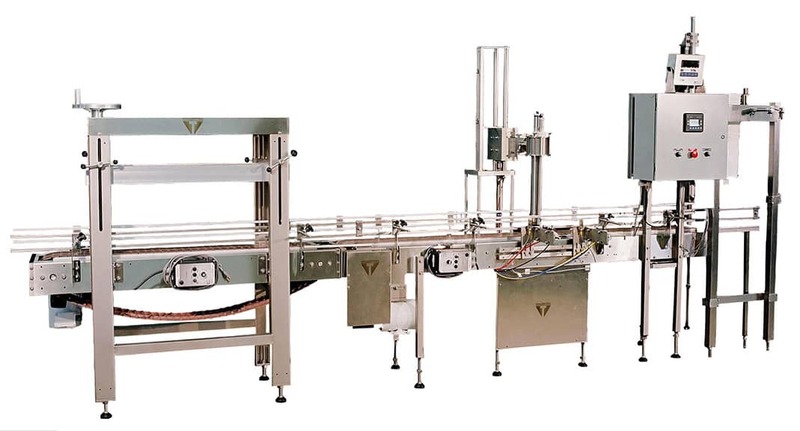 Volumetric Technologies industry leading Liquid Filling Line Equipment delivers the highest fill accuracy (+/- 1/4 of 1%) at an incredibly fast rate of up to 100 deposits per head per minute. Durable with variable speed controls our Liquid Filling Line Equipment is user friendly and ideal for filling a variety of products into many different container types. Volumetric’s Pail Filling Line Equipment accurately fills pails of your product by net weight. 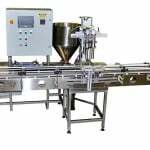 Our pneumatically operated Pail Filling Line Equipment features flexible weight loads make them perfect for filling a variety of products such as pie fillings, sour cream, caramel/chocolate sauce for a variety of weights.